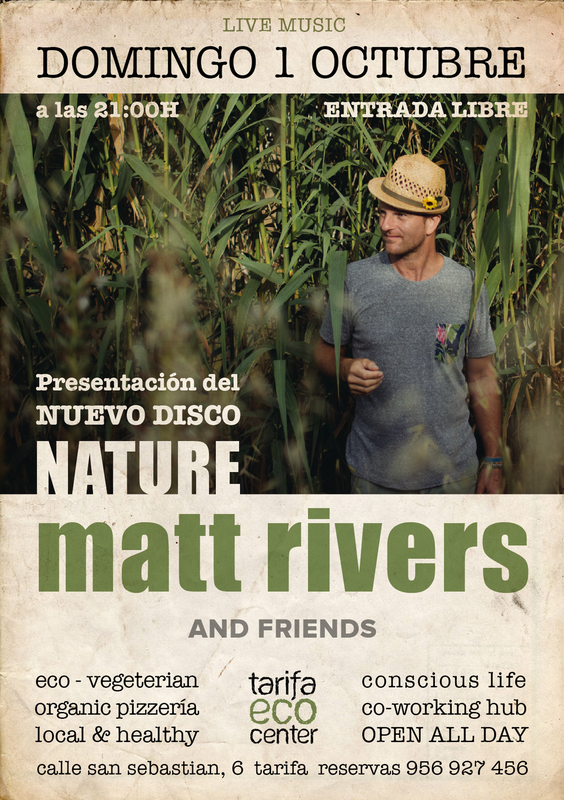 Matt Rivers is officially launching his debut album 'Nature'. To celebrate, there will be a launch party at Tarifa Ecocenter. This is his first full album of original material, having previously released an E.P. and two demos. The songs have been written over the ten years and span a journey from his last E.P. to now. The most current song only being finished in the studio. He recorded the album in Tarifa and of course, it will be available to buy. 'Nature' is inspired by our natural world, the need to be guardians of ourselves and thus our planet. It is inspired by the alchemy of transforming ourselves and taking responsibility for our emotions. Matt will be playing with some special guests to bring you a unique version of his album. We will have an open mic jam afterwards to celebrate our planet and raise the roof! The event coincides with 'A Limpiar el Mundo' (Clean the World) campaign which will run the whole weekend. We will be painting murals and going on rubbish cleaning expeditions around Tarifa.